Planning a trip in the near future? Don’t stress. 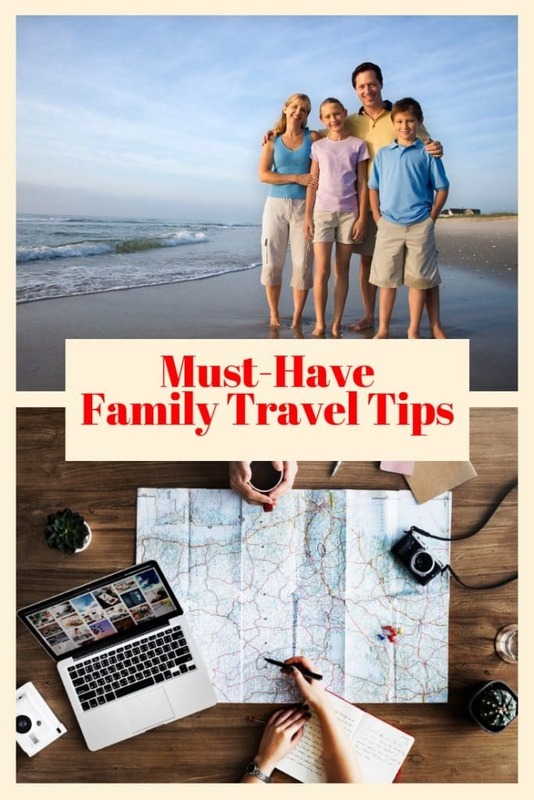 These family travel tips can and will be a huge help! The thought of loading up the crew and heading out to seek an adventure doesn’t have to be worrisome each and every time. With just a few simple ideas and calming thoughts, you and your family can travel with ease. Spring break, summer vacation, holidays…all big events and all mean one thing. Everyone piling in the car or catching a plane and traveling all over the place. And while that should be a ton of happy and fun thoughts, so many times families end up dreading the entire process because it turns into a big bundle of stress. The good news? These family travel tips will take your frowns and turn them upside down! These travel tips aren’t hard, you just have to make certain that you implement them every single time! Here’s the deal. When it comes to one person packing for literally every single person in the family, that’s beyond stressful. What if you forget tennis shoes, underwear, books, their favorite toys? And the list could go on and on. This year, let everyone in your family be their own packing pro. (of course, within an appropriate age) If you have a toddler, give them a small little bag that they can fill in their own toys. Just make certain that they fully understand that what they pack is it, there isn’t anything else or any tears later if something is forgotten. Do the same for your middle schoolers, your teenagers and even your spouse. While you may run the household, that doesn’t mean the entire fate of packing for a family trip has to rest on your shoulders. Not only will this teach everyone to be more responsible and aware of their items, but it will also show them what you’ve been doing for them every single time before! Pair up, partner up, triple up or whatever works – but just make certain that everyone in your family understands that the moment their feet step outside the door, they’re to know where their travel buddy is at all times. And if you have energy and enough time to plan, make a game out of it. Or think of a really cool prize to reward the top travel buddies once you arrive at your destination. This will help you relax a bit when traveling knowing that someone is looking out for someone else and it will also help others in the family be accountable for themselves and their buddy, too. To me, this is huge. If you know that your children are going to be thirsty the moment they get in the car, plan ahead and have cold water bottles filled and waiting. What about the person who always has to stop for the bathroom? Pencil it into your travel plans so you don’t end up like you’re being rushed. Family is family and they’re a joy to be around no matter what. BUT, sometimes, every one of us has our quirks. And when those quirks are known and aren’t a surprise, it’s easier to plan ahead and accommodate as best as possible so that the rest of your travel plans can go smoothly. Most times, the stresses of road trips and travel come from being unprepared. Just by taking the time to outline your route or even plug in your destination to GPS, you can save yourself and your family a ton of grief and worry. Don’t be stubborn when it comes to traveling! It should be an enjoyable experience for all. 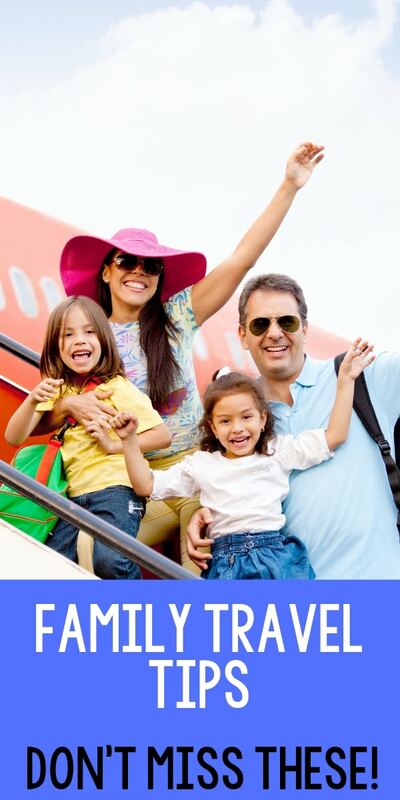 These family travel tips are simple, easy and will allow your family to actually look forward to traveling together. And the best part? You can literally start implementing them right away! 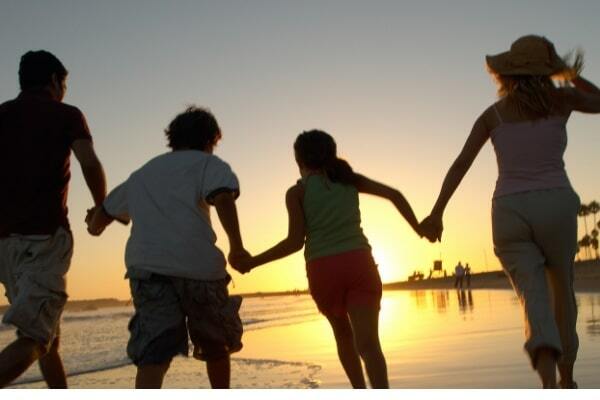 The sooner that you realize that most of the stresses about family travel are brought on from within, the more quickly you’ll be able to relax and enjoy the duration of your trip.